As both river island and commune, L'Île-Saint-Denis has a largely unknown rich heritage. Today wasteland after a century of industrial activity, the landscape alongside the Seine which inspired artists such as Alfred Sisley, Edouard Manet, Gustave Courbet and Berthe Morisot is now being completely redesigned to recreate the bucolic scenes painted by the Impressionists. The department store Printemps had its stores on Ile-Saint-Denis from 1950 until they were abandoned twenty years ago. Yet it was only in 2008/2009 that the graffiti artists moved in. It was a two-storey building, with a vast expanse that created a wonderful gallery with a unique atmosphere. 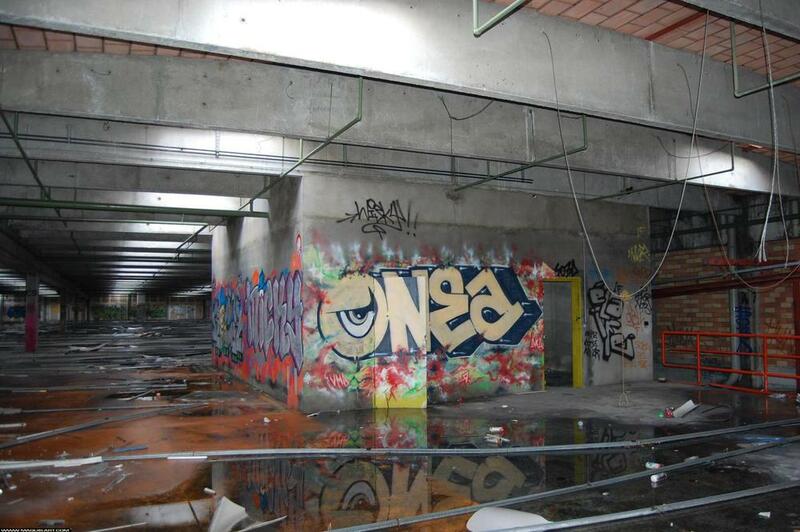 Before it was destroyed in February 2013, it was possible to visit it and an exhibition showing the history and future of the site, which paid particular homage to the site’s street art. L'Île-Saint-Denis is one of the few communes in Metropolitan France located exclusively on a river island. The crescent-shaped commune is located around ten kilometres north of Paris, in one of the bends of the Seine. From the northern end of the island, looking towards the south, you can see the buildings at the southernmost point. The closing of the Printemps warehouses, followed by Galeries Lafayettes, was a shock for the commune and for the whole of Seine Saint-Denis, leaving behind a barren wasteland. The Plaine Commune Ile-Saint-Denis authorities have finally transformed this tragedy into an opportunity: the land is to be used for the future riverside eco-district designed by Philippon – Kalt, architects-planners, with the first housing units built in 2012. The town has made its resilience a building block for solidarity-based and environmentally-responsible development. The island identity, community spirit and commitment to transition make the island the perfect place for a lifestyle based on social engagement and solidarity. 20th century: development of town and warehousing site. The commune’s physical situation on the river means it runs a risk of flooding. 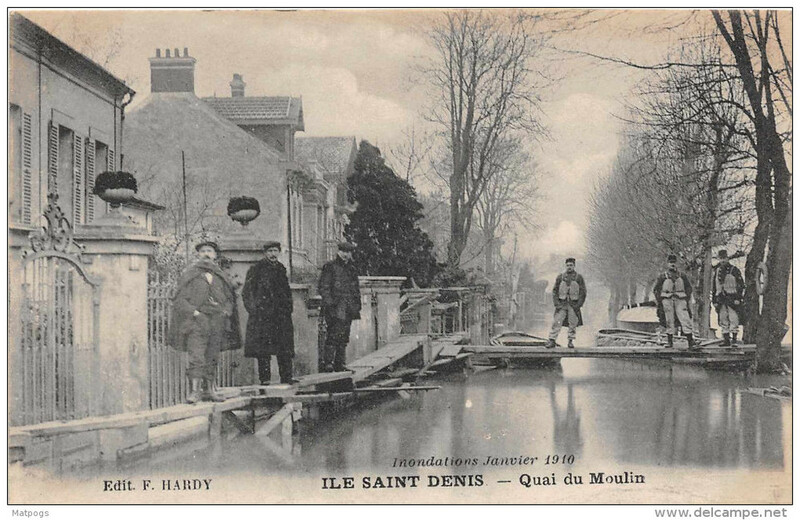 The island was heavily affected by the Seine floods in 1910, which devastated the area. After 1910, the ground level was raised and today only a few houses are still at the “old level”. Loss of 500 jobs in ten years.